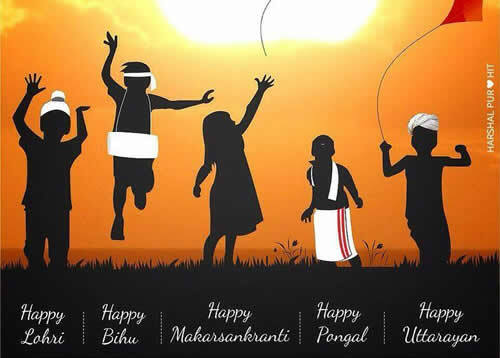 Wishing that this festival brings Good Luck and Prosperity and Hoping that it is joyous,And fills your days ahead with Happiness. 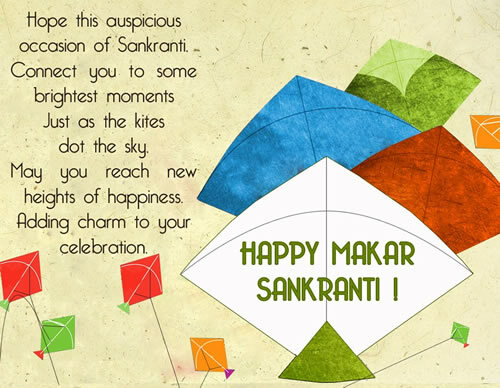 Hope this auspicious occasion of sankranti connect you to some brightest moments just as the kites dot the sky . 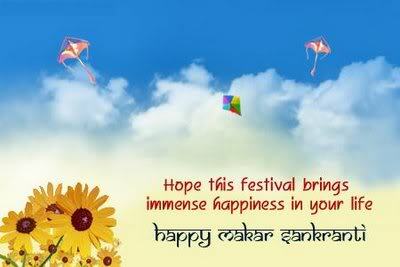 May you reach new height of happiness .Adding charm to your celebration . Wishing that this festival brings Good Luck and Prosperity and Hoping that it is joyous, And fills your days ahead with Happiness. !!!! 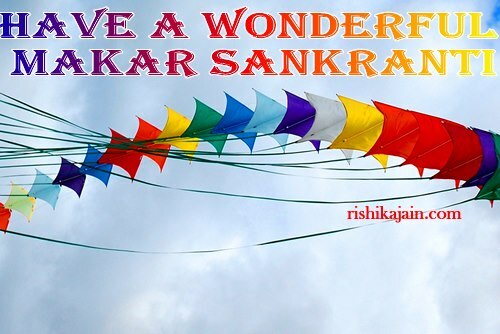 Have a wonderful Makar Sankranti !!!! 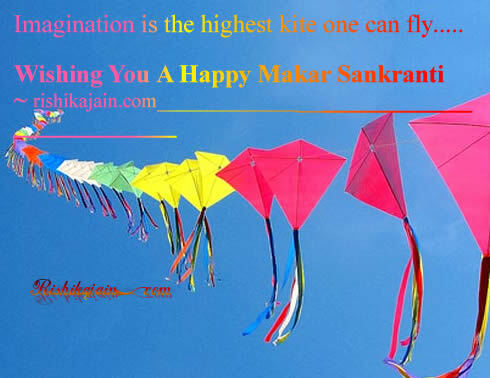 Imagination is the highest kite one can fly…..